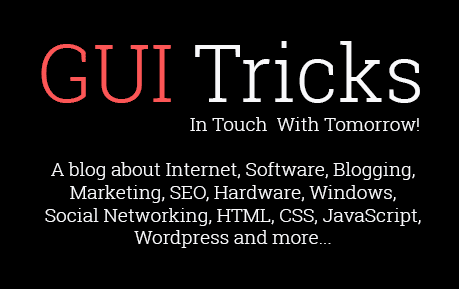 7 Security Tips To Protect Your Mac Privacy | GUI Tricks - In Touch With Tomorrow! 7 Security Tips To Protect Your Mac Privacy - GUI Tricks - In Touch With Tomorrow! Mac offers various built-in security features to keep your data security & privacy intact. Further, you can use reliable security software for your system to avoid all known and unknown virus threats. 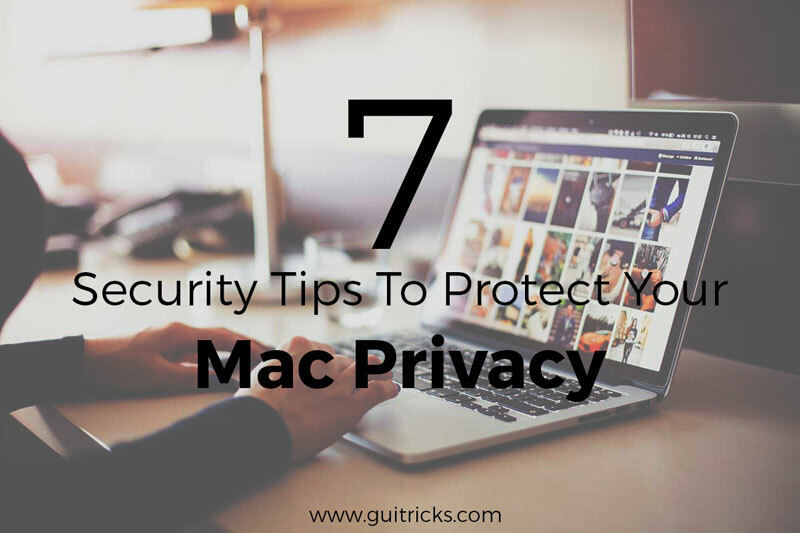 In this article, we have discussed top 7 security tips to protect your Mac from all privacy threats. 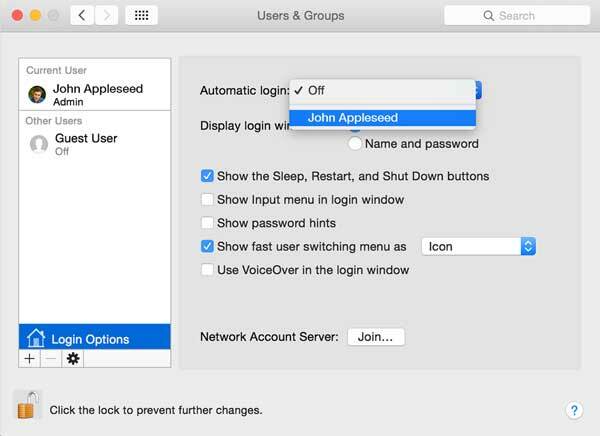 To start with follow this simple step to avoid troubles caused due to unnecessary administrator permissions acquired by different apps on your Mac. While administrator account (first account) has all necessary permissions on your system having a second standard account to perform day-to-day tasks is advisable. Standard accounts come with certain limitations to change or edit settings in the system. Once you are using the standard account to log in different apps that require administrator privileges will ask you for administrator details. Thus, it is useful feature to keep tab on unnecessary permissions acquired by different software & apps on your Mac. If you are using certain account on your Mac to automatically log in then it’s time to disable this setting. Automatic login may help you access your system instantly and with ease but it carries certain security & privacy risks. Here, you need to tell your Mac to display a login screen on boot to access system. 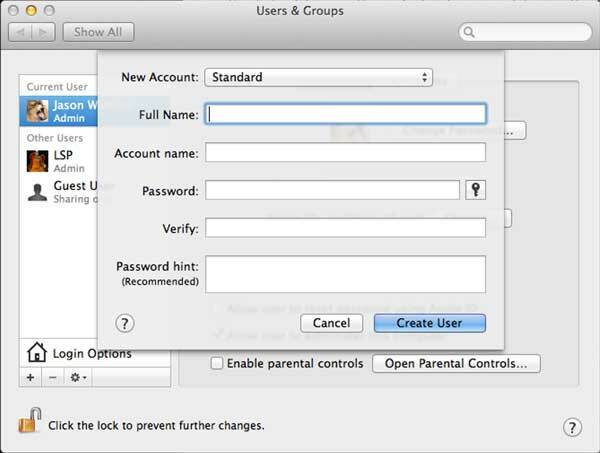 To disable automatic login, go to System Preferences > Users & Groups > Login Options and turn off automatic login option. Alternatively, you can go to System Preferences > General tab and click on Disable Automatic Login option. Using strong password to access your system will not only help you protect from curious onlookers but it will also secure your system from malware threats. 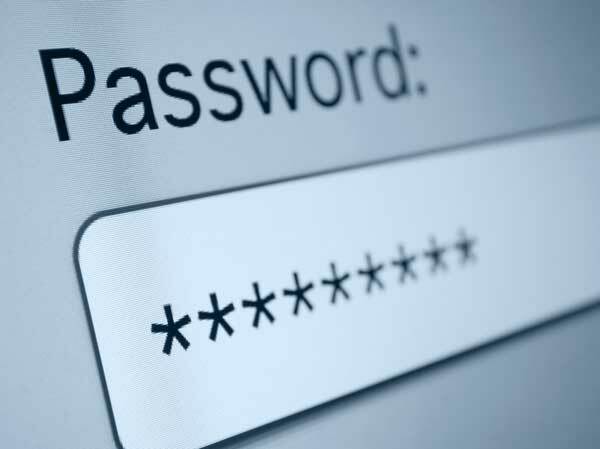 Always prefer to set strong password with combination of letters, numbers, special characters etc. Once you have set strong password, it will hard for anyone to access your system data or settings. This is another quick step that helps you protect your device security & privacy in addition to improving your system performance. Using reliable anti-malware tool helps you protect your system from all known and unknown threats effectively. Here, these tools work on smart algorithms to find and remove all security threats effectively. One such tool is Systweak Anti-Malware that is designed meticulously to protect your Mac from all security & privacy threats. Open network or free Wi-Fi may sound attractive when you desperately need to access your accounts online but it carries lot of troubles with it. Open networks could easily have breached with small piece of malicious software to threaten your data security & privacy. Here, malicious coders then steal your data or infect your device with virus to cause more trouble for you. Thus, it is always advisable to use encrypted and password protected network to perform all online activities. Further, use strong password for your network and do not share it with anyone. 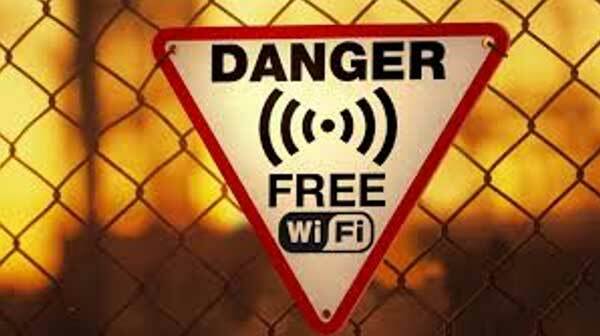 Even if you want to use open network or free Wi-Fi avoid sharing sensitive information on that. Sending malicious links masquerading original websites and with other tricks is an age-old technique to spread malicious content across globe. Here, you may receive email attachment asking you to have won millions or asks you to click on the given link to fix some issue etc. Here, all these tricks are ideally there to trick you to click on malicious link. 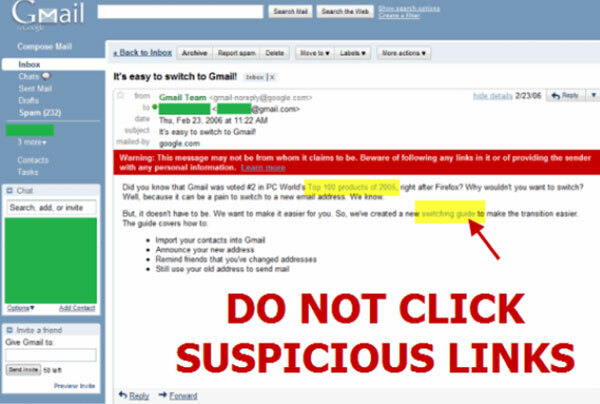 Thus, you should always cross-check the links or websites you open and be aware of unknown and suspicious links. Firewall comes pre-installed on all system but not necessarily it comes enabled. 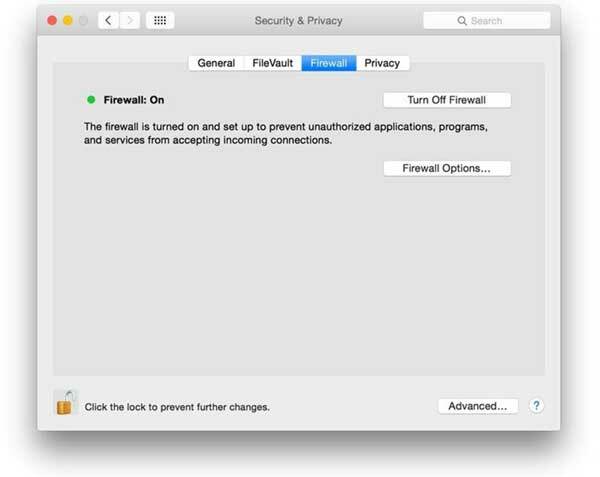 To enable Firewall on your Mac, go to System Preferences > Security & Privacy > Firewall. Here, first, you need to click on the padlock icon in the lower-left corner and mention the administrator account details Once mentioned, click on “Turn on Firewall” option to enable Firewall on your Mac. To change Firewall settings simply press on “Firewall Options”. Using built-in security features is one effective way to protect your Mac and data security & privacy intact. In addition to these built-in features, you can also try third-party security suite for reliable results. You can follow above-mentioned steps to protect your Mac from all security & privacy threats. It solved very quickly the problem I was having. Thank you!